Vacation Rental Listing 3 bed 2 bath in Cape Coral, FL. Boaters Dream, Pool Home on Quiet Street! 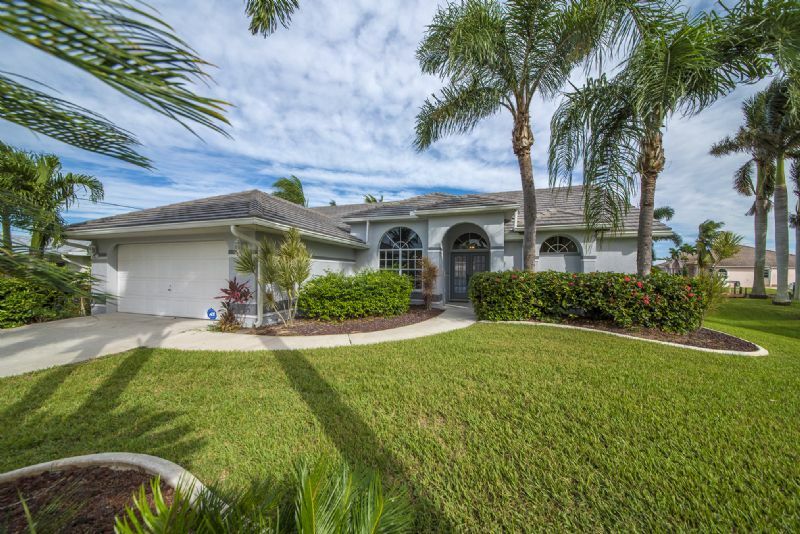 Walking Distance to Tarpon Pointe! boaters dream, pool home on quiet street! walking distance to tarpon pointe! Vacation in sunny Southwest Florida on a beautiful Gulf access canal just minutes from the Gulf. The location is perfect for walking distance to Tarpon Point Marina, Rotary Park and a short drive to grocery stores, shopping and entertainment. This recently furnished home boasts new furniture, new carpeting a formal living area and a comfortable family room. Relax around the heated pool with a beautiful view of the intersecting canal. Lush landscaping surrounds the home making this a perfect vacation property. Call for more information today!